One part blog, one part digital magazine, and one part video series, Beautiful Design Made Simple is an ever-expanding, always-engaging source of design inspiration and insight – thanks, in large part, to our contributing interior designers. In honor of International Women's Day, we're profiling the talented and driven group of women designers whose contributions to BDMS make a difference in so many homes. Dvira Ovadia is an award-winning and respected Toronto designer, known for her clever design work on a vast number of successful endeavors. Dvira began working in the industry for a handful of world renowned design firms in New York City and Toronto before her successful win on a television design series called From the Ground with Debbie Travis. Following that success, Dvira established her own design firm – Dvira Interiors – and in parallel was getting further involved in design and renovation shows. Following her work as designer for the TV series, Unsellables, Reno and Relocate, and Downright Domestic, Dvira became the Designer and Art Director for the acclaimed Income Property with Scott Mcgillivray on HGTV – a role she held for 9 seasons. Dvira’s work can been seen through local and international media across Canada and the United States. She is also a regular contributor to the Toronto Sun newspaper as well as numerous design publications throughout the GTA, like Reno & Decor, On the Go magazine and Homes Digest magazine. For over a decade now, Dvira Interiors has worked from concept to build on a wide range of small and full-scale residential and commercial interior projects throughout Canada and the United States. The Toronto-based design firm specializes in fresh, functional and vibrant designs with global influence. Kate Davidson is the designer and principal of Kate + Co Design Inc. a multi-disciplinary interior design firm offering full scale interior design services for residential, corporate and retail spaces. The design firm is working on a wide range of mid to high-end residential and commercial projects from concept to build, often orchestrate the creative process, by acting as primary liaison with architects, builders, contractors, lighting and landscape designers, fabricators, artisans and tradespeople to ensure harmony during the construction and design phases. Established over a decade ago, Kate + Co offers design services throughout the Greater Toronto Area, Western Ontario and the US. Kate is a graduate of OCAD University’s Environmental Design Program with a Bachelor of Design and has intern status with ARIDO. She is also a guest speaker and advisory committee member of Sheridan College’s Interior Decorating and Design Programs. Kate’s work can be seen in local and national design lifestyle publications and websites in Canada & the US, and has been featured on The Marilyn Denis Show, CP24, CHCH News, and the Weather Network Today the firm continues to grow working on a variety of small and custom full scale residential and commercial projects. Kate is also actively involved in her community, and regularly contributes to various local charities such as the Autism Society, Oakville’s Hospital Foundation, Toronto’s Camp Quality, The Furniture Bank and Ride to Conquer Cancer. In 2014, Kate + Co was nominated for Oakville’s Business of the Year. Cynthia Soda of Soda Pop Design Inc.
Cynthia Soda is the Owner and Principal Interior Designer of Soda Pop Design Inc. 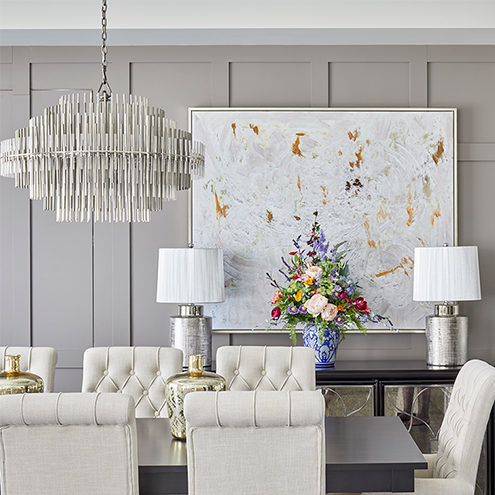 Established in 2012, her multi-disciplinary interior design firm provides complete renovation and design services for mid to high-end residential clients throughout the Greater Toronto Area. Cynthia believes in and uses her design filter to successfully merge her clients' lifestyle, personality and architecture to create customized, liveable luxury that tells each client's unique story. Cynthia and her team act as the primary liaison in many of their projects between the client and architects, engineers, contractors, fabricators and trades people to ensure a smooth transition from detailed concept to completion. Cynthia Soda is a graduate of Ryerson University, School of Interior Design and is a Registered Interior Designer with ARIDO, IDC and NCIDQ in good standing. Soda Pop Design Inc. is a proud supporter of Plan Canada's Because I Am a Girl, and contributes yearly to the Heart & Stroke Foundation, Alzheimers Society as well as GoodLife Kids and SickKids Foundations. Linda Mazur is the principal designer of Linda Mazur Design Group – a multi-disciplinary design firm with over 15 years of residential and commercial design experience. The firm works closely with their clients and with their team of highly-skilled tradesmen, craftsmen and architects, allowing the design experts to create custom interiors and exteriors that reflect both individuality and exceptional quality. Linda is a graduate of the University of Western Ontario, and started her entrepreneurial adventure in 1998. Throughout her career, Linda has pursued design in several different creative forms, giving her a far-reaching knowledge and understanding of the field. Linda believes that good design should be timeless, yet adapt to the needs of her clients. Her approach to design is a classic style blended with a bit of the unexpected, creating comfortable, functional and livable environments reflecting her client’s own individuality and personality. In the media, Linda contributes as an “Ask the Expert” designer at the National Home Show, and is a regular columnist in Condo Life magazine, The Toronto Sun and various other design publications. In her community, Linda supports various charities including ALS, Sick Kids Hospital and The Canadian Red Cross. Linda Mazur Design Group services projects large and small, working with an extensive clientele within Toronto, the GTA and throughout Canada. Celebrated as one of Canada’s rising industry leaders, multi-award winning Toronto designer Rebecca Hay has a diverse portfolio ranging from luxurious private residences to large scale commercial projects both in Toronto and nationwide. With a focus on exceptional quality, Rebecca Hay Designs offers a full range of interior design services, specializing in luxury residential. Rebecca’s designs infuse old with new, creating a signature blend of traditional and contemporary. An extensive network of resources and partnerships allow Rebecca and her team to deliver outstanding, hands-on service, and beautifully creative solutions that bring their clients’ visions to life. In addition to her residential design work, Rebecca and her team create award-winning sales pavilions for some of the top home builders in the GTA. With over a decade of experience in design, architecture and construction under her belt, Rebecca has also worked in the engaging and high-paced world of television. She held the position of Show Segment Designer on Income Property, the award-winning lifestyle series on HGTV. She also performed a similar role on the highly-rated HGTV show Property Brothers. With tight deadlines and colorful personalities, these shows allowed Rebecca to bring her natural design and organizational skills to the fore under pressure. 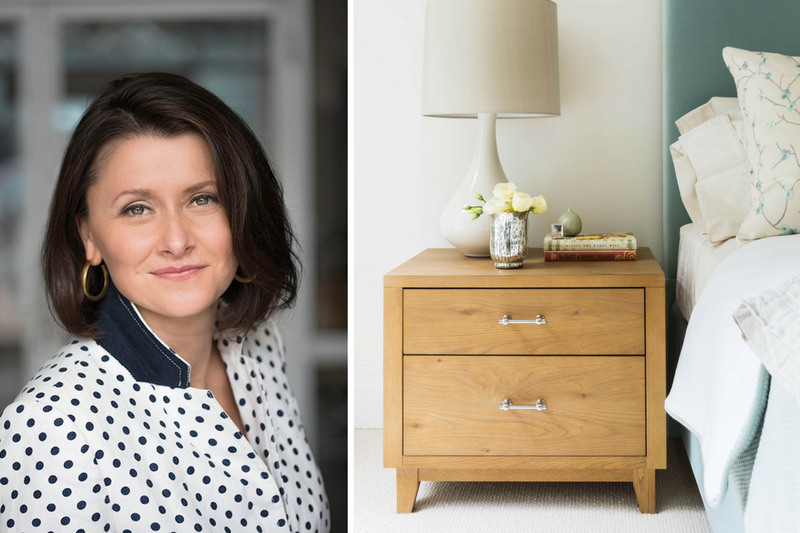 Her work has been showcased in the pages of some country’s top design and lifestyle magazines and Rebecca is a new regular columnist for the New Homes & Design section of the Weekend Toronto Sun. As well, she is a new regular contributing writer for numerous lifestyle design publications.